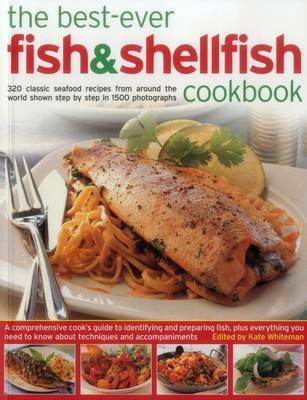 Here is the definitive guide to the world's fish and shellfish with 320 appetizing recipes. The book starts with an illustrated guide to all types of edible fish from tuna, herring and monkfish to salmon, trout and eel, plus processed fish from dried, salted, pickled, canned and smoked. The extensive recipe section features fish dishes for every day meals including Clam Chowder, Glazed Garlic Shrimp, Thai Fishcakes, and Paella, plus elegant dishes for entertaining like Sole with Wild Mushrooms and Salmon with Cucumber Sauce. Beautifully photographed, this wonderful guide to cooking with fish is sure to become a trusted book in any kitchen.